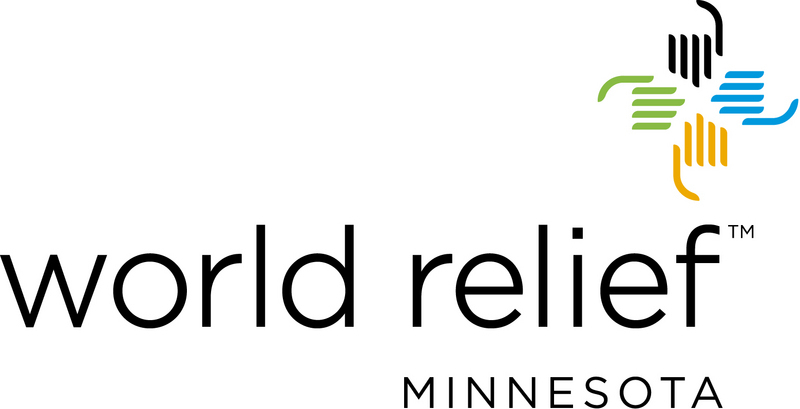 World Relief Minnesota is an affiliate office of World Relief Corporation, a non-profit agency that resettles refugees in the United States through a contract with U.S. Department of State. Our office currently resettles about 300 refugees per year in the Twin Cities. Staff provide social services for refugees including, initial reception and housing, employment services, cash assistance, and wrap around services for the elderly. I have oversight of staff and programs as well as a principal part in recruiting volunteers and donors to support the cause of the refugee. Much of this focus is on empowering the local church to serve and befriend refugeees. In addition, I fill the role of the chief executive for the agency with a staff of approximately 15 people and 400+ volunteers. Mission: Moving Mountains' (M:MM) community development activities endeavor to empower teams of indigenous leaders to do effective, holistic development so that impoverished communities are transformed from within. I trained Nigerian and Cambodia NGO staff to mobilize their communities, prioritize needs, and then address the issues of the community using local resources. Community leaders were trained to utilize principles of adult education that encourage the participation of non-literate adults. Interventions related to food production, income-generating activities, and preventive health were implemented by communities. As Program Manager, I was responsible for project finances, reporting and trip logistics. In addition, I coordinated revisions of the curriculum and developed a manual with guidelines for Mentors. I served as Team Leader for the Nigeria-north team; team members included a Kenyan woman and a Ugandan man each with about 20 years of development experience. We worked closedly with our partner organization in Nigeria to evaluate outcomes and make needed programmatic changes. The Dorothy Day Center provides approximately 500 meals per day for homeless people and people in poverty. In addition, the facility serves as a shelter and the first point of contact to other social services. As Director of the Center, I was responsible for staff supervision (20), hiring and disciplinary action, and oversight of the volunteer program (100+). We obtained funding through governmental RFPs and also solicited gifts in kind for the food warehouse. I developed the annual budget ($1.5 million) and monitored expenses on a monthly basis. ECHO is a non-profit providing technical expertise for development workers involved in subsistence agriculture in the tropics. At ECHO, I administered the intern and study programs. ECHO invites recent college graduates to participate in a 15-month internship that includes a three-month cross-cultural experience in Haiti. I developed a curriculum for the interns that included experiential learning in tropical subsistence agriculture and readings related to cross-cultural living. I also provided technical assistance to a network of 3500 agricultural development workers in 140 countries through a quarterly publication, ECHO Development Notes, technical bulletins, and by responsing to e-mail requests for information. I developed a course and wrote the text for Issues in Sustainable Agriculture for the University of Minnesota. This course provides a holistic look at agriculture and includes discussions of the environmental issues and social impacts of food production in the U.S. In addition, I also planned and coordinated a regional workshop on adult experiential learning that was offered to educators and representatives of the sustainable ag community in the North Central Region of the U.S.
Mission: Moving Mountains’ (M:MM) development and discipleship program empowers community leaders in other countries to do effective, integrated development so that impoverished villages are transformed. M:MM staff train people living to solve their own problems in the areas of agriculture and health using appropriate technologies and preventive strategies for self help. Participatory approaches in problem assessment, appreciative inquiry, capacity building as well as the utilization of indigenous knowledge are components of the training. As a M:MM team member, I spent approximately 18 months learning the language and about the culture of the Digo people of Kenya. As a research leader for the hard red winter wheat program at North Dakota State University (NDSU), I developed new cultivars of small grains through introgression of genetic material from the same and related species. I was involved with the US Wheat Growers in some of their marketing and educational activities. As a service to North Dakota farmers, I investigated sustainable means of crop production in adverse environments, including no-till systems. I also authored several non-technical publications for people in agricultural vocations and co-authored the North Dakota bulletin for winter wheat production practices. In addition, I was featured in farmer field days, radio and TV spots to discuss winter wheat production. I taught two to three undergraduate courses per year at NDSU over a nine year period. For each of these courses, I was responsible for developing course curriculum and lecture/laboratory manuals. Over 1200 students enrolled in these courses from 1983-92. I advised between five to ten undergraduates and one to three graduate students each academic year. 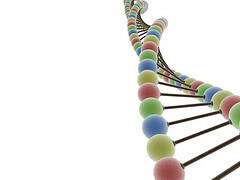 Courses taught were Grain crops and Introduction to Plant Breeding. I received promotion and tenure in 1989 and praticipated in a sabbatical program during the 1989-90 academic year. While I was a Visiting Professor in Kenya (USAID project), I taught Introductory Plant Breeding to horticulture and agronomy undergraduate students. I conducted research on the impact of mineral toxicity on wheat production. I also took advantage of this sabbatical year to visit farmers, local agribusinesses and national and international research centers to learn about sustainable production practices and agroforestry in Africa. Grant proposals funded: Restoring agrarian activities among the growing Karen Community in the Twin Cities, ORR, 2010-2013. On-going funding to support Discipling for Development project activities in Nigeria, several foundations, 2004-08. County and Federal funding to support services for the homeless at the Dorothy Day Center, 2000-03. Experiential Learning Activities for Education in Sustainable Agriculture, SARE, 1996-98. 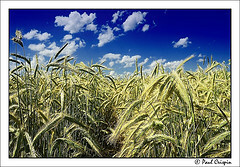 Hard red winter wheat improvement (ND01625), CSRS, 1983-92. Response of wheat cultivars to acid infertile soil conditions in Kenya, US-AID and Egerton Univ., 1990. A study of the systems approach of education as it has been used in Kenya, FDI developmental leave supplement (NDSU), 1989. Evaluation of gluten disk compressibility for early generation selection for breadmaking quality of hard red winter wheat, NDSU grant-in-aid, 1989. Winter wheat survival under conventional and no-till management (ND04531), CSRS, 1983-86. Improving student learning through development of demonstration materials to be used as a resource from which to draw relationships among cropping practices, FDI grant (Bush Foundation),1983. I've utilized adult education facilitation skills with non-literate adults in Africa and Asia. The process involves creating awarenes among community leaders of the possibility of solving many problems with the resources at hand. Community leaders are trained to mobilize their community, and then proceed with appreciative inquiry & resource mapping, needs assessment & prioritization. Interventions are determined by the community and technical assistance is provided as needed. Experience with informal language learning, nuances of cross-cultural communication, and resolving cross-cultural conflict. Through the positions I have held during the past 20 years, I have participated in and/or been responsible for project management and staff supervision, including: Team leader for an agricultural research project at a Land-grant university, Staff supervision of up to 20 staff, including annual evaluations, hiring and disciplinary actions, Team building activities and mentoring of staff for leadership positions, Project reporting and technical writing, Program design, implementation, and evaluation, Strategic planning and monitoring activities associated with plans, Advocacy, and Working with partnering organizations to ensure oversight and coordination.